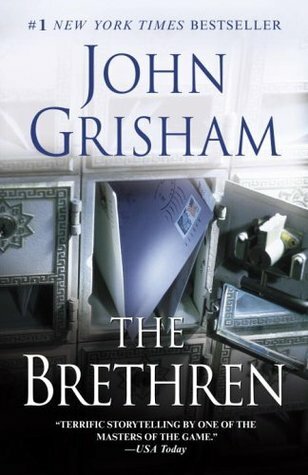 Recently, I just finished reading a book written by John Grisham, The Brethren. There are not many quotes can be extracted from this book but the plot of the story is brilliant. The story is about three former judges with the nickname ‘The Brethren’, who serves their sentence in a minimum security federal prison. They spend most of their time writing letters in the law library to earn extra income from the outside world. They have a pen-pal column advertisement in the gay magazine and looking forward for any rich men to hook into the "bait". They act as a young man around 20s who stays in the rehab with the pen-pal names such as Ricky or Percy. They exchange incoming and outgoing letters with a lawyer who pays them a visit almost everyday. Once the timing is right, they will tell their pen-pal friends that their real identities will be revealed if they don't wire the requested amount of money. It’s a mail scam! Or another word is called 'Angola Scam'. Unfortunately, one of the victims is a powerful man (Aaron Lake) who runs for the ‘US President’ election. The mail exchange starts before Lake is selected by the CIA Director to run for the election. This powerful man has the dangerous friend who knows the 'mail scam' and work underground with the three former judges without the knowledge of Lake although Lake has decided to end this correspondence. More reviews can be found on Goodreads: The Brethren.